Donald McRae is an award-winning author of eleven non-fiction books which have featured compelling boxers, pioneering heart surgeons, and legendary trial lawyers. 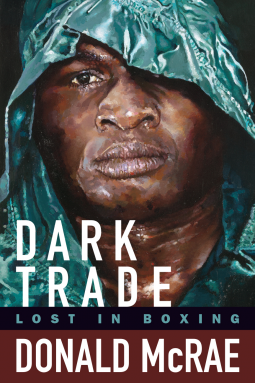 He has twice won the UK's William Hill Sports Book of the Year for Dark Trade: Lost in Boxing and In Black White: The Secret History of Joe Louis and Jesse Owens. McRae is a three-time Interviewer of the Year winner and he has twice won the Feature Writer of the Year for his work in The Guardian - most recently in 2018. Having been born and raised in South Africa, McRae's writing career began when, aged 21, he started a music magazine while working as a white teacher in the black township of Soweto. The best sports books are about far more than spirt and this wonderful book is no exception. McRae is a fantastic writer who has the ability to get his subjects to open up and reveal their deep and innermost thoughts. This is an updated version of his classic analysis of boxing in the 90s and should be read by anyone who enjoys incisive and even elegiac sports writing. Boxing is a sport that can bring out the best and the worst in human beings. This is true for the fighters, the managers, the fans and nearly anyone with a connection to the sport. Whichever way a story or personal tale goes, this book on the sport in America and Britain during the 1990’s is widely hailed as one of the best books on the sweet science ever written and this reviewer agrees with that assessment. Donald McRae, a writer for the British publication The Guardian, has been transfixed by the sport for a long time so he set out on a year-long journey to the United States and his adopted homeland of Great Britain (he is a native of South Africa) and through his exchanges with some of the best fighters of that era, he paints a very compelling picture of not only the boxers but also of the role that race, violence and social status play in the game. Some of the fighters portrayed include Mike Tyson, Roy Jones Jr., James Tomey (whose portrait graces the cover), Chris Eubank, Oscar de la Hoya, and Nassem Hamed. Of course, promoters like Don King and Bob Arum are portrayed as well as some others such as Jackie Kellum, the manager for Tomey and one of the very few females involved in the sport at the time. However, instead of simply rehashing information that can be found in other sources, McRae dives into the minds of the people involved. The reader will feel like he or she knows the person portrayed more intimately than before turning the pages. Just for one example, the reader will learn that Mike Tyson is as well versed in Hemmingway and Mao (and many other authors) as well as uppercuts and body blows. While that wasn’t secret, it isn’t something that is described in as rich detail in other sources as it is in this book. I was particularly struck by the portrayal of James Toney as he had a background similar to many other fighters. That is, having no father figure in the house, a hard-working and supportive mother and a close call to being another victim of the streets instead of finding salvation in the gym. While all of these are true in Toney’s life, he went through a different path, most notably helping his mother, who was astute in business, by working at her bakery. Hiring a Jewish woman as his manager and getting married young and having a daughter is also important to his story as McRae illustrates how much the women in Toney’s life affect him so much both in and out of the ring. Since this book is best read in pieces, one person at a time, Toney’s story is one that should be digested fully as the reader will come away mesmerized. These are just a few examples of the fantastic prose shared by McRae in this book that is now in its third publication and should be read by every person with any interest in the sport. It is one that I will come back to for re-reading sections time and time again. I wish to thank Hamlicar Publications for providing a copy of the book in exchange for an honest review.